The Sears Tower observation deck, called the Skydeck, opened on June 22, 1974. Located on the 103rd floor of the tower, it is 1,353 feet (412 m) above ground and is one of the most famous tourist attractions in Chicago. Tourists can experience how the building sways on a windy day. They can see far over the plains of Illinois and across Lake Michigan to Indiana, Michigan and Wisconsin on a clear day. Elevators take tourists to the top in about 60 seconds, and allow tourists to feel the pressure change as they rise up. The Skydeck competes with the John Hancock Center's observation floor a mile and a half away, which is 323 feet (98 m) lower. 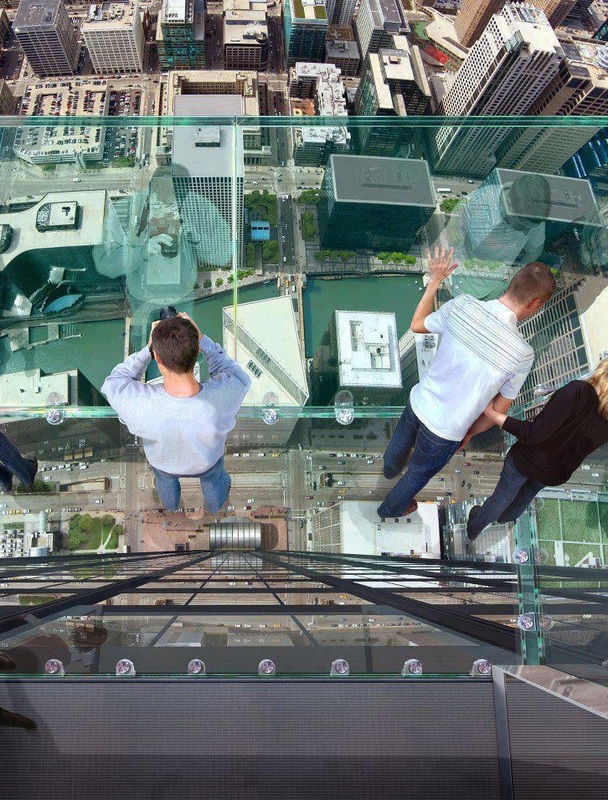 Some 1.3 million tourists visit the Skydeck annually. A second Skydeck on the 99th floor is also used if the 103rd floor is closed. The tourist entrance can be found on the south side of the building along Jackson Boulevard.